Are cross-platform social recommender systems the future? a personalized product recommendation module that factors in the personalized factor weights of a customer (i.e. his evaluation of what is important to him in a recommendation). The experiment conducted by Li et al. (2013) yields interesting results but is also subject to very interesting limitations. First of all, it was shown that a RS considering different sources of information (resembling real life advice-seeking situations) but also balancing these sources according to the consumer’s preferences significantly outperforms the average RS. What is also interesting and valuable for e-commerce retailers is that even though the best recommendations are made when a customer’s preferences are explicitly known, the system is still able to give very accurate recommendations when extrapolating other people’s preferences for certain product categories (e.g. people in general prefer expert opinions over a friend’s opinion when purchasing consumer electronics, while individual preferences and friends’ opinions are more highly valued for entertainment & living products). As the article discussed is already two years old, one would assume that by now, such valuable overarching RSs existed. In academia, indeed more researchers have picked up on the idea and have suggested different methods to include social information in e-commerce RSs. Nevertheless, in practice no such system has been implemented or at least no provider has managed to successfully establish such a system in the market. The potential reason for this is also one of the most important limitations of Li et al.’s article: the lack of cross-platform personalized RSs is caused on the one hand by platform constraints, but more importantly by data privacy issues. In a time where many users are already uncomfortable with the uncertainty about what exactly is done with their data, I assume that few would agree to having their data shared across different platforms so that an even more detailed profile of them is created that is widely accessible to many different platform providers. I personally, would not see the added value of more personalized and accurate recommendations when giving up the last impression of privacy and data security is the price I’d have to pay. What is your opinion about this? Do you think that cross-platform social RSs are the next step in this journey or do you think that eventually this trend of giving up more and more of one’s data will slow down? Li, T., Kauffman, R. J., van Heck, E., Vervest, P., & Dellaert, B. G. (2014). Consumer Informedness and Firm Information Strategy. Information Systems Research, 25(2), 345-363. Li, Y. M., Wu, C. T., & Lai, C. Y. (2013). 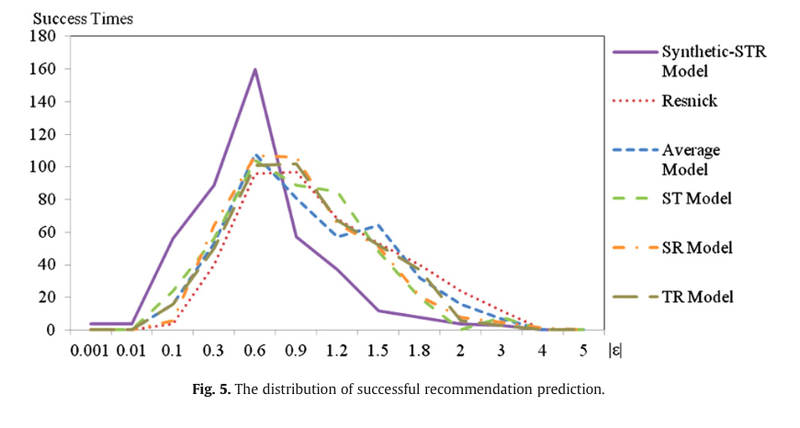 A social recommender mechanism for e-commerce: Combining similarity, trust, and relationship. Decision Support Systems, 55(3), 740-752. Murray, K. B., & Häubl, G. (2009). Personalization without interrogation: Towards more effective interactions between consumers and feature-based recommendation agents. Journal of Interactive Marketing, 23(2), 138-146. Shang, S., Hui, P., Kulkarni, S. R., & Cuff, P. W. (2011). Wisdom of the crowd: Incorporating social influence in recommendation models. In Parallel and Distributed Systems (ICPADS), 2011 IEEE 17th International Conference on (pp. 835-840). IEEE.